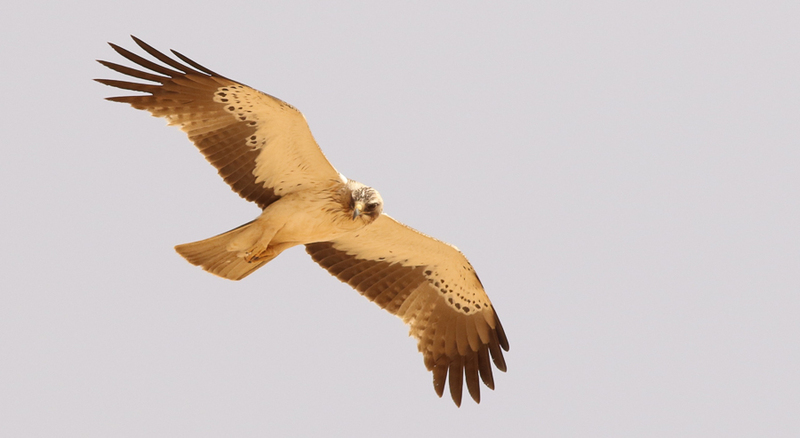 Euan Ferguson was in Saudi Arabia with a couple of other birdwatchers in spring 2017, conducting an environmental survey and found a Booted Eagle on 26 April 2017 at Dumat in the northwest of the Kingdom. The species was considered to be entirely a passage migrant but in recent years there have been a number of winter records and its status has changed to a scarce passage migrant and winter visitor. Euan’s bird was at a classic passage migrant time and was probably just passing through. I thank Euan for sending me the details of this bird and allowing me to use his excellent photo on my website.